Join us for a full day event celebrating outdoor recreation and the beautiful public lands in NC and TN, with an emphasis on equity and inclusivity. Special guest speakers and presentations will fill the morning and early afternoon, with live music and hands-on outdoor activities from 3-5 pm. Listen to Daniel White, “The Blackalachian,” share his stories about hiking the entire 2,190 miles of the Appalachian Trail, biking the 2,000-mile route of the Underground Railroad from Alabama to Canada, and more. 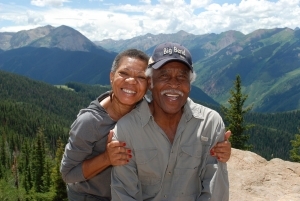 Hear national parks ambassadors Audrey and Frank Peterman share their love and inspiration for introducing people to national parks. Meet representatives from Pathways to Parks, a local group that encourages black and brown people to become interested in, and take care and ownership of, America’s public lands — through promoting and engaging in walking, hiking, nature, fishing, whitewater rafting, tennis, picnicking, sightseeing, cycling and all the adventures that local, state and national parks offer. Then kick back and relax (or dance!) while Santos and Ra Soul raise positive vibes. We’ll have a variety of hands-on, family-friendly activities – thanks to friends at the REI Co-Op, Elisha Mitchell Audubon Society, Asheville on Bikes, and more. 12:15 – 1:15 pm: Conservation Careers ‘Working Lunch‘ — Guest speakers Frank Peterman (Southeast Regional Director of The Wilderness Society 2003-2010), Elsea Brown (Director of Blue Ridge Forever), and Natrieifia Miller (UNC Asheville graduate working with the Great Smoky Mountains National Park and Appalachian Trail Conservancy). Panelists will speak about their experiences, vision, challenges, and tips for pursuing careers in conservation and ensuring that the environmental field is a more inclusive space. Lunch catered by Southside Kitchen Catering of Green Opportunities. 2:30 – 3:00 pm: Panel Discussion. Representatives from Pathways to Parks will join all the other guest speakers onstage to share about how their group formed last year, after being inspired by Frank and Audrey’s 2018 visit. There will be shared Q & A time, with all panelists able to respond to questions from the audience. Performers from Word on the Street will wrap-up the presentation sessions. 3:00 – 5:00 pm: MUSIC and outdoor activities! Santos Soul and Ra Soul will raise positive vibes, performing outdoors on the U-LEAF mobile stage while surrounded by interactive, family-friendly activites. Hands-on outdoor recreation and conservation activities include: REI Co-op Asheville camping/hiking and gear; container gardening with take-home plants; beginner birding and activities with the Elisha Mitchell Audubon Society; painting #YourBackyard with Southern Appalachian Highlands Conservancy; and Asheville on Bikes/Bike Club ready-to-ride beginner bike tips/maintenance. Audrey and Frank Peterman have been pioneers in the green and conservation movement since 1995.They are among the leading experts on America’s publicly-owned lands system. They are tenacious advocates for breaking the color barrier and integration of our natural treasures as a way for all Americans, including children, youth, adults and seniors regardless of ethnic heritage to better appreciate our collective history and achieve a truly democratic society. Audrey’s journalistic abilities are apparent in her book Legacy on the Land as she so vividly describes their adventures from the east to the west coast in the national parks. Info at www.legacyontheland.com. 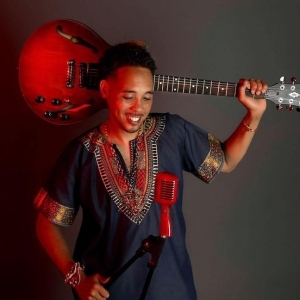 Daniel White grew up in the Shiloh community of Asheville and currently resides in Charlotte. 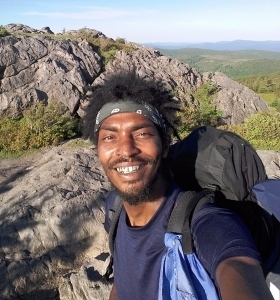 In 2017 he hiked the entirety of the Appalachian Trail with no prior backpacking experience, and in 2018 he biked the 2,000-mile route of the Underground Railroad from Alabama to Canada. And, he’s just getting started! Daniel encourages diversity in the great outdoors by undertaking challenging adventures and sharing stories on social media. Follow him online @TheBlackalachian. 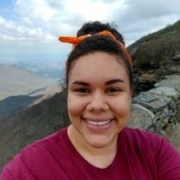 A native of North Carolina, Elsea Brown grew up playing in the forests and streams of our state’s public lands, but it wasn’t until college that she considered a career in the environmental field. While taking a general-studies Ecology course her first semester at UNCA, she fell in love with the Biology department as it allowed her to be active in an outdoor classroom. Elsea graduated from UNCA’s Biology department in 2016, and now serves as the Director of the Blue Ridge Forever coalition. Elsea’s personal philosophy is deeply rooted in the inter-connectedness of our ecosystem. She believes that caring for our environment is an extension of caring for ourselves. Given the disparate health effects of urbanization on black and brown bodies calls for immediate action, to heal ourselves through connecting with our environment. 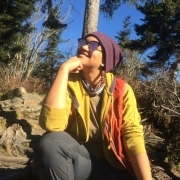 Natrieifia Miller is an education ranger at Great Smoky Mountains National Park and serves as a member of the Appalachian Trail Conservancy’s Next Generation Advisory Council. She completed her B.S. in Biology at the University of North Carolina Asheville in May 2017. She believes that not only should humans incorporate as many diverse viewpoints as possible to conserve and preserve our natural spaces for future generations, but also that individuals should seek diversification in their personal skill sets to solve the most complex issues of our time. 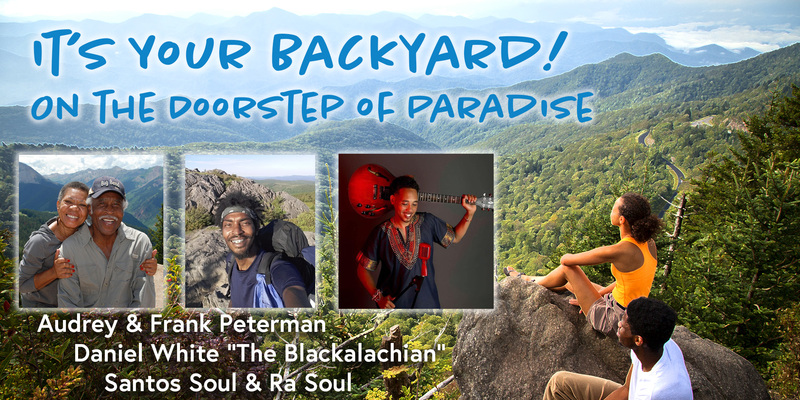 This event is organized by the Southern Appalachian Highlands Conservancy in collaboration with the City of Asheville Parks and Recreation, supported by the Conservation Trust for North Carolina, and is made possible with funding from the Z. Smith Reynolds Foundation. CTNC, in partnership with local land trusts, seeks to build deeper connections with communities to ensure all North Carolinians enjoy the benefits provided by land and water conservation. This event is free and open to the public. Please let us know if you plan to attend. How many are youth (under 18)? Providing contact info is entirely optional. It will give us a way to contact you if there is a major change in the event. Do you have any questions/comments or dietary restrictions? There is limited lot parking at the Dr. Wesley Grant Sr. Southside Center, with additional on-street parking nearby. It is walkable from local neighborhoods and the River Arts District, and there is a bus stop right at the corner of the center. Contact Southern Appalachian Highlands Conservancy at sahc@appalachian.org or 828.253.0095 ext 200.